New to the market grille fix for 1967 - 1968 Mercury Cougars / Patent Pending. These simple little grille repair clips have been needed since these cars were new! Over the years we have seen a multitude of home remedies to fix this common problem but none were this clean looking, easy to install and failure proof. Soon we will be listing all the different FoMoCo applications these clips will work on. These clips are sold as a set of four. These painted clips pictured here were the first ones off the press and we bypassed the black zinc coating that will be applied to the clips you will receive. Almost every Cougar grille has one or more of the four tension spring anchor areas broken. Even if your grille does not have any broken areas we highly suggest you install these as a preventive measure. The less cracks your grille develops the more rigid your grille will be. The more rigidity your grille maintains, the less likely the grille is to bend or distort. Good grilles are becoming very hard to find, this is an inexpensive way to protect your investment. 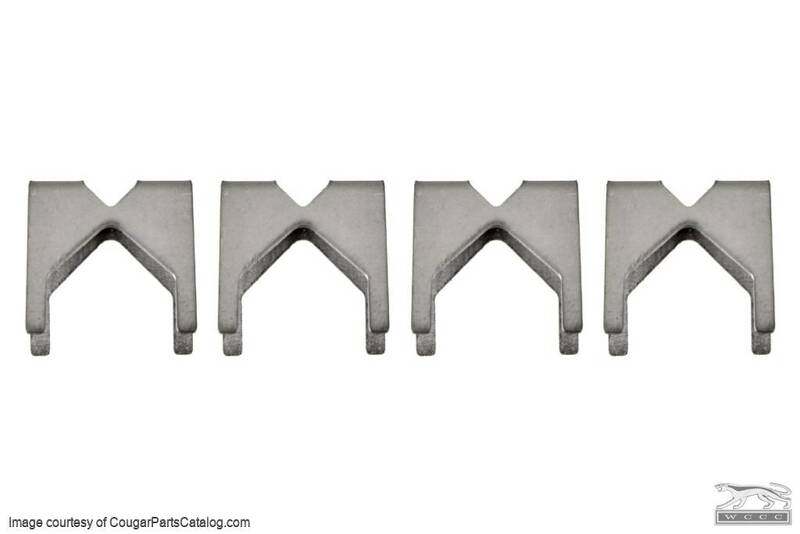 Soon you will see this set of four grille repair clips being offered from multiple vendors. We invite dealer inquiries! This invention is patent pending. 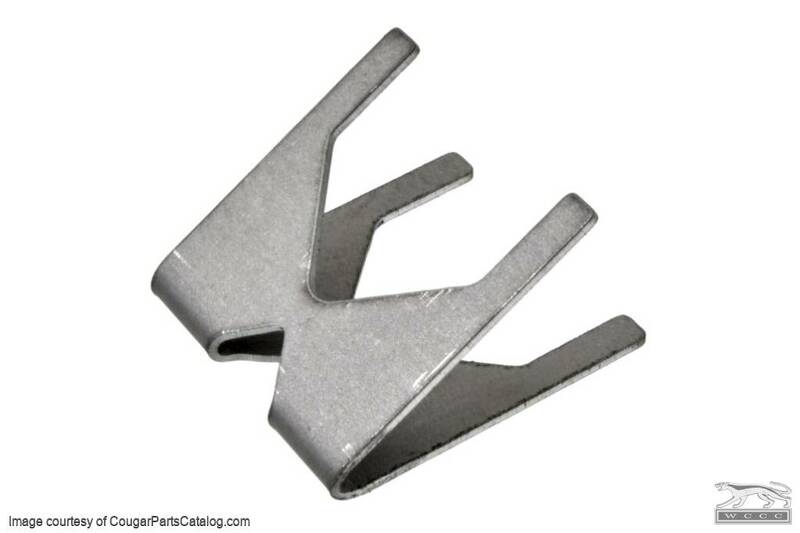 The use of this repair clip will require you open your spring up slightly. 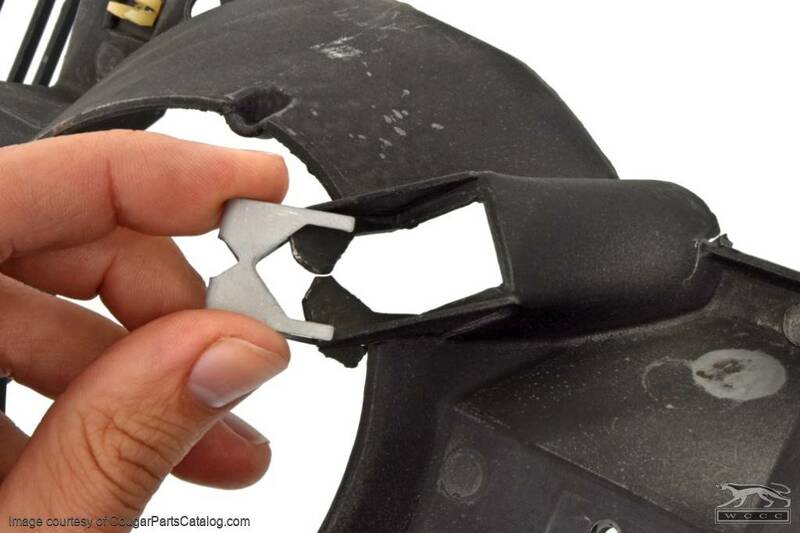 This is an easy modification with a pair of pliers and is the only modification needed. Hey Don, I've been ordering parts for my '67 over the last few months from your company. I just want to let you know I would recommend your company to anyone. You have been extremely helpful in every aspect. I think your site is great and easy to use. I especially liked how you call me with questions and answers to my e-mail. Thanks for everything and as much as I don't want to spend any more money, I look forward to doing more business with you in the future. Worked like they were supposed to. Worked very well for repairing my cracked headlight bucket where the spring attaches.